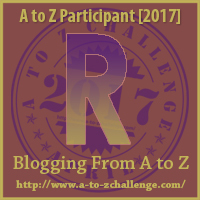 R is for Regarding Research. If you’re an author, I don’t need to tell you how much research you need to do to be sure you have your facts correct or to find inspiration for building your countries or characters. If you’re an entrepreneur, there are so many places you can go for ideas to work on your craft or hobby. And if you’re doing a family blog, you can look for background to significant locations, or look up genealogy sites for family history. Hello again to all you wonderful bloggers! I am taking part in The Write Tribe Problogger October 2017 Blogging Challenge. So a special welcome to the other members of my sub-tribe. Hi guys! This is the 6th post in this challenge. In recent years, the company of Google™ was unhappy when Merriam Webster included its name in its dictionary. They no doubt fear that the world will go like “hoover” which became a generic term for “vacuum” in many countries. Right now, “to google” actually means to use the Google™ search engine. If the term comes to mean, “I searched the internet for . . . ” the company’s branding will lose its value. Having cleared that, let’s move on to a list of the pros, cons and other things we need to know when we Go to Google™. There is a common misconception that if you want an image you can “Google” it, and if it shows up you’re free to use it. Others will insist it’s okay as a long as you give credit to the photographer or artist. Neither of these is correct.